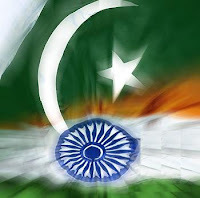 Can India and Pakistan Cooperate? Even today, Indian political elements think that they can create harmony and good relation with Pakistan, something that couldn’t be achieved in the past 62 years, after so many dialogues and fighting four wars. People say war is not a solution but here dialogues have also failed many times. Even international interference didn’t help, U.S, U.K and China all have tried and will keep trying till they have their own interest in the subcontinent. It is not that easy to bring these nations closer because their thinking, approach and ideas are totally different and that was the reason of 1947 Indian partition, one of the largest event of migration in the world. Indians believed in secularism and democracy, where people who were going to be Pakistani believed in a Islamic state. There have been many dictators in the country and Pakistan have fallen many times into a military rule. Their leader, Mohammad Ali Jinnah, came up with a new theory. The Two-Nation Theory was the basis for the Partition of India in 1947. It stated that Muslims and Hindus were two separate nations by every definition, and therefore Muslims should have an autonomous homeland. Thus he demanded the creation of new state Pakistan. Frontier parts of western India formed West Pakistan and a small part in East India formed East Pakistan, which then got freed when India and Pakistan went for war in 1971. This war was the most dangerous of all, after the second world war. It could have given rise to a IIIrd world war, as U.S sent its navy in support of Pakistan. In its reply, U.S.S.R sent its navy to warn U.S. This was the most dangerous part, but both U.S and U.S.S.R were intelligent and U.S withdrew from the region and so did U.S.S.R.
Former Prime Minister of India, Mr. Atal Behari Vajpayee, tried a lot for peace in the region. Bus services and Rail services were started between India and Pakistan, which helped the separated families after migration to reunite. But illegal occupation of Indian heights and blocking of Indian highway in Kargil and attacking of Indian Parliament by Pakistani extremists made him to stop these services. They were then resumed looking forward for another peace process. Later on, few years back, trade between the Jammu and Kashmir and the Pakistan Occupied Kashmir was started. But recent cross border terrorists attack on Mumbai/Bombay on 26th November, 2008 made India to stop all talks with Pakistan. And now Dr. Manmohan Sing still dreams of a peaceful Pakistan and India together. 62 years have passed and all kinds of solutions have been tried to stabilise the subcontinental region but everything has failed so far.